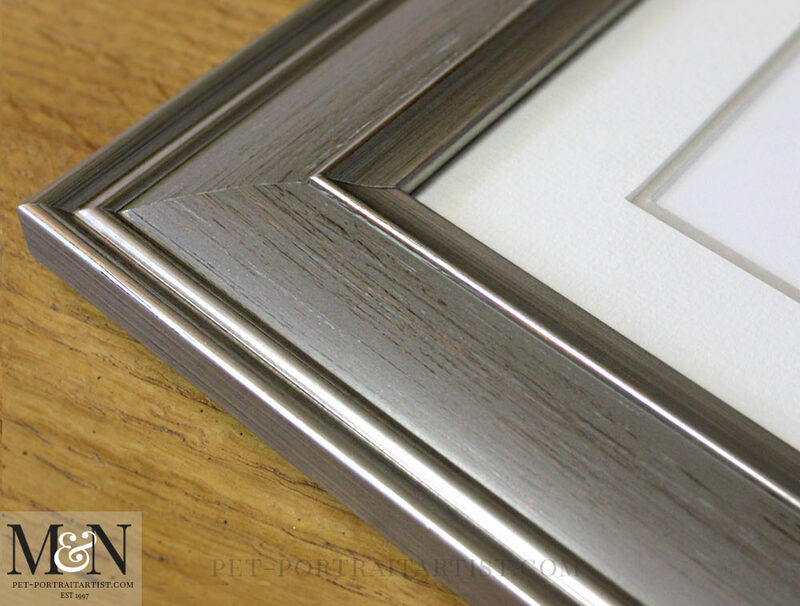 It was especially great to hear that she loved the frame as it is a new frame that I have added to my framing range! 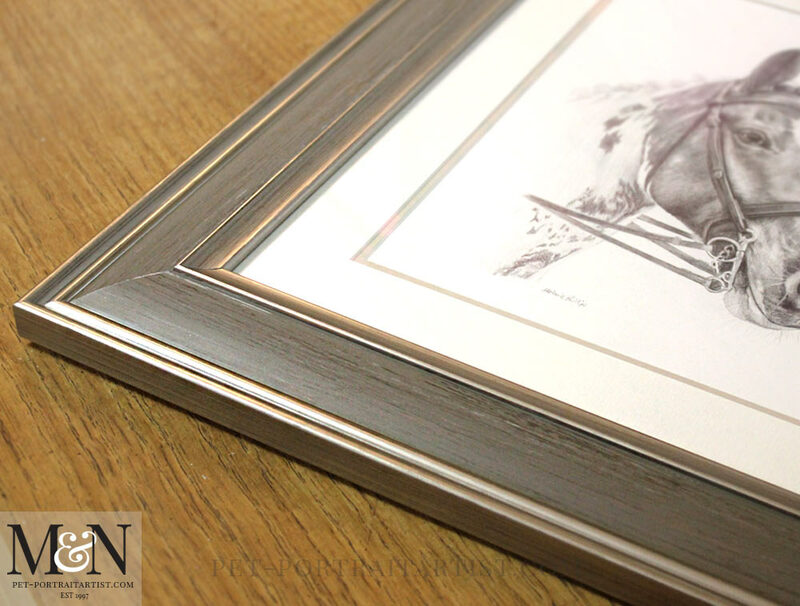 Scroll down further to see some lovely photos of Cherokee’s portrait framed. Pauline emailed me this wonderful photo of both her, Maureen and Caroline all on Christmas day with the portrait too. They emailed me…. 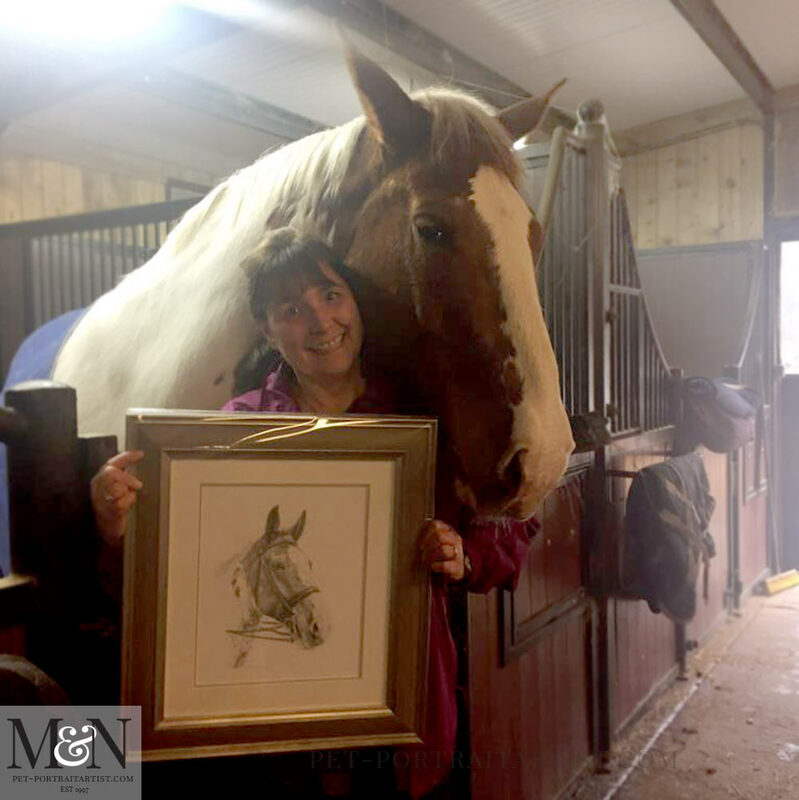 Caroline was thrilled with the portrait of Cherry and said it would be greatly cherished. All the family think your portrait is beautiful ! The photo is of Maureen (L) our niece Caroline and me Pauline. A very happy new year to you Nicholas and Lily. 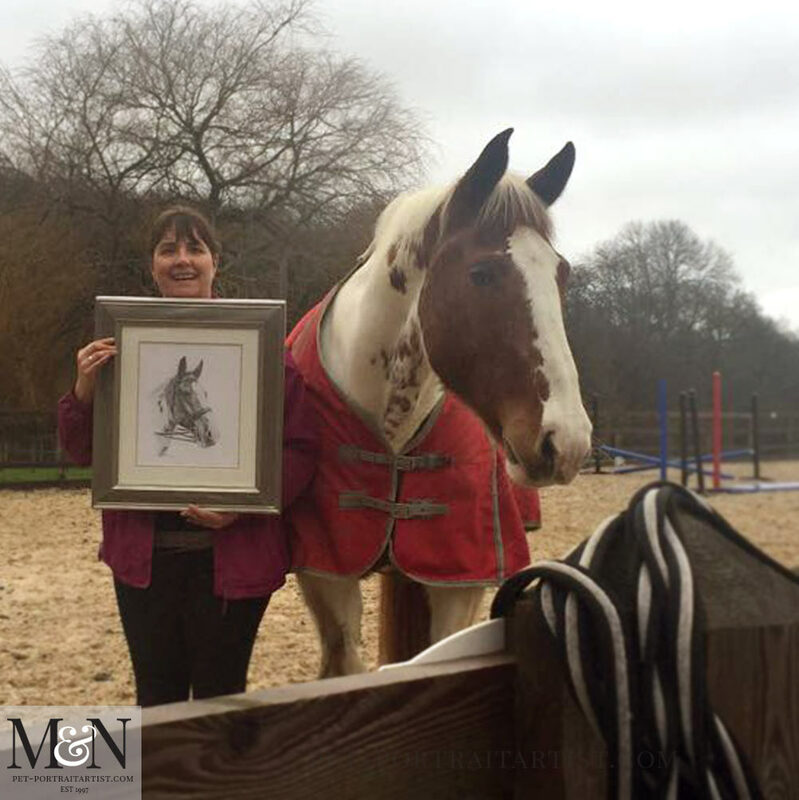 We also received more amazing photos from Caroline with Cherokee and her portrait too. Thank you so much Caroline!! Therefore I am so looking forward to adding them to my website in my next round of updates. 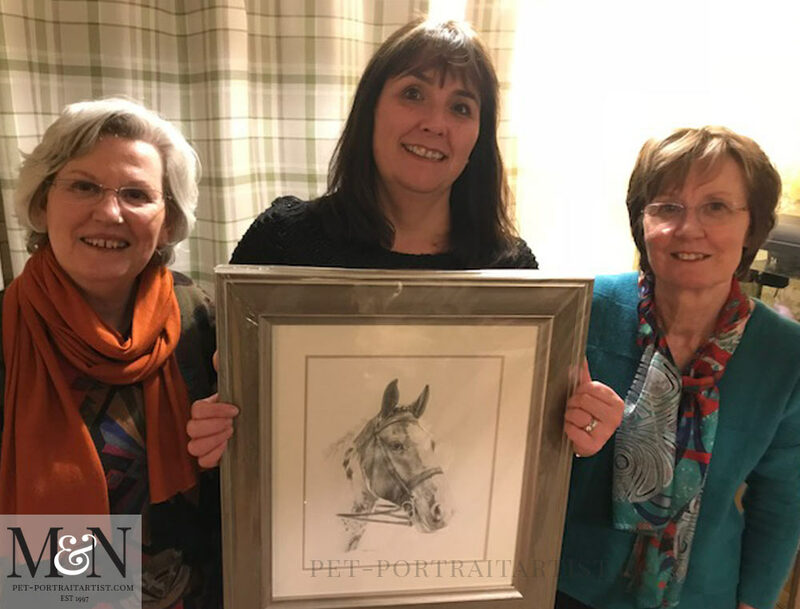 You can read two fantastic testimonials from Pauline, Caroline and Maureen below. Thank you all for sending these photos and making my day too! 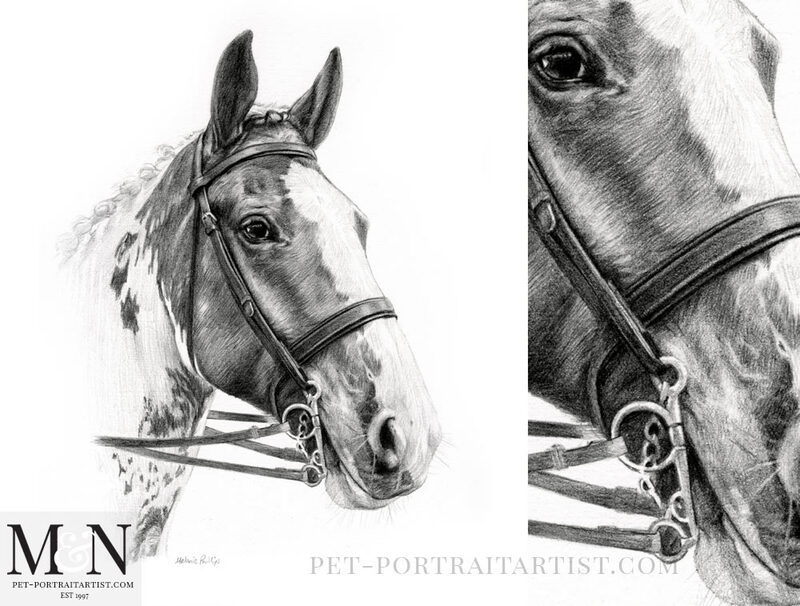 Also just received these 2 photos from Caroline at the stables. She wanted you to see them and how delighted she is with the portrait. Thank you again for creating this wonderful portrait. 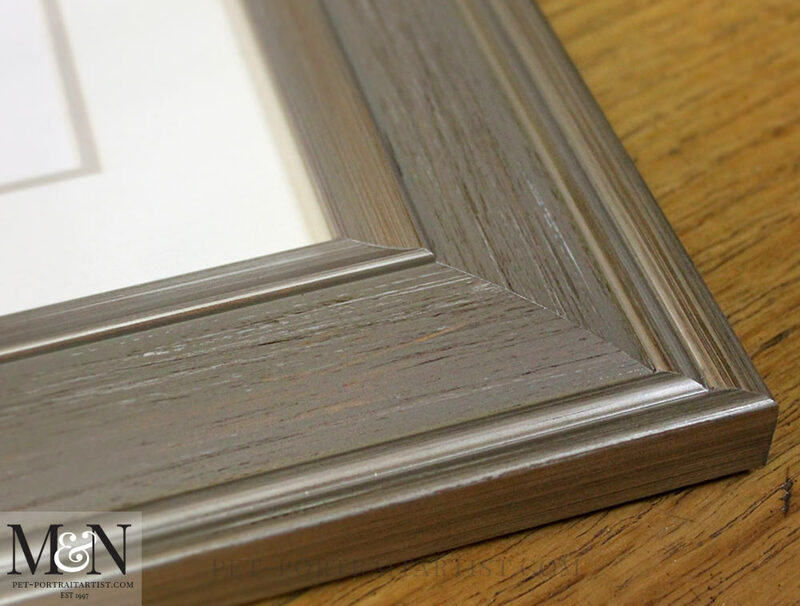 The Madison is a firm favourite of mine now. 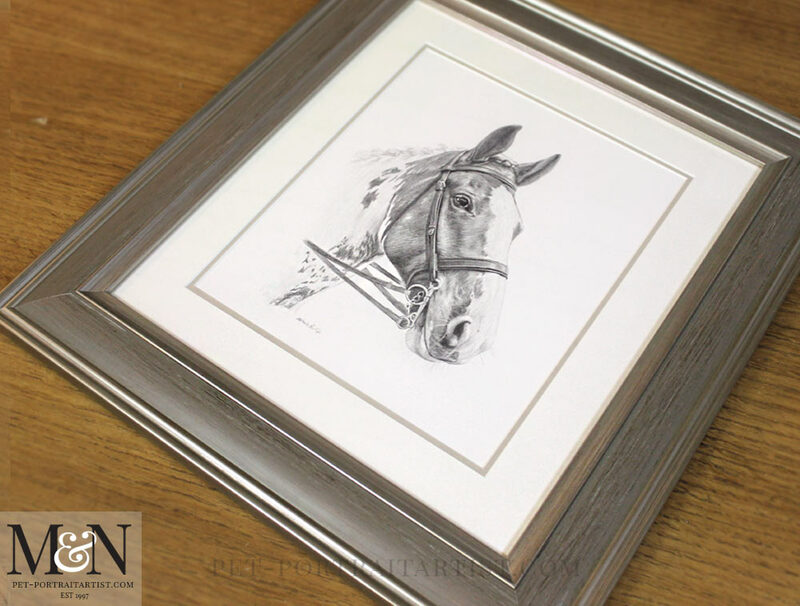 I have also created a dedicated page for the frame on my pencil pet portraits website. I know it will be a popular one as it is so pretty. 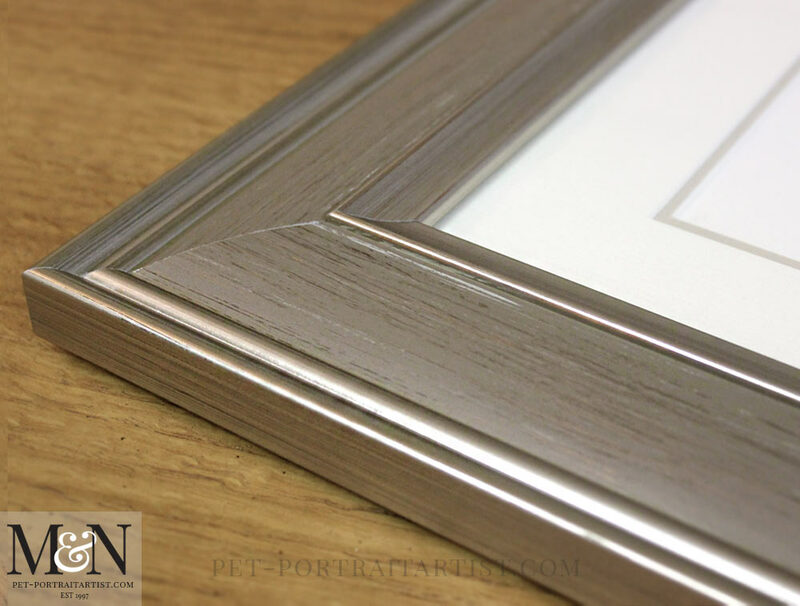 The colour of the frame is Taupe colour. Yet as it is distressed, it shimmers silver in some lights and a gold bronze in other light. You can see the variations in the photo below. Above all, ultimately this is fabulous as it will work well with a multitude of different home decors. It is such a classic design. 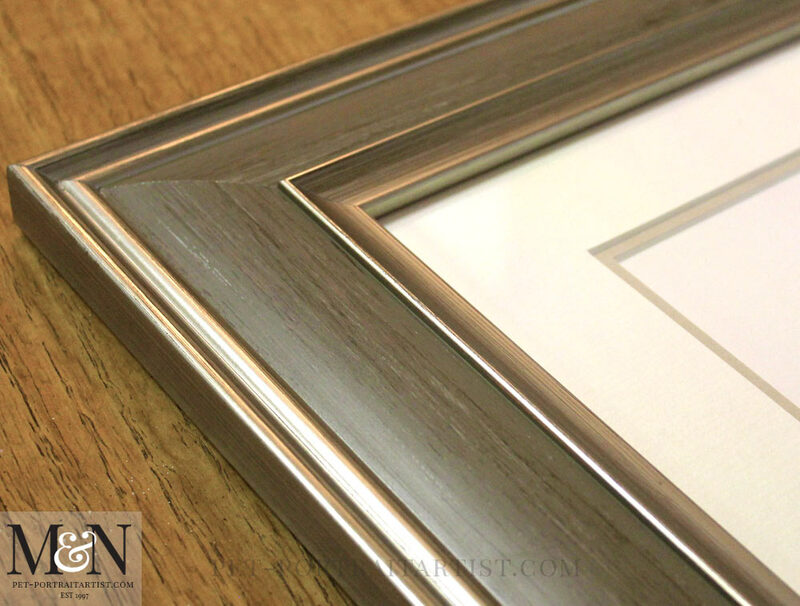 You can see the framed portrait on my website in the framing section – Madison Frame.